You�re viewing our Sausage Maker stainless steel tape dispenser. 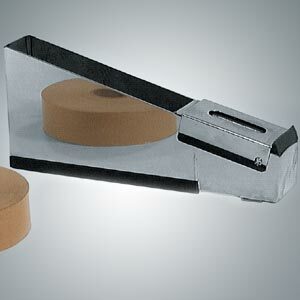 TSM's tape dispenser holds 1-1/2" white gum tape, simply drop the tape in place, then through the guide to start using tape. 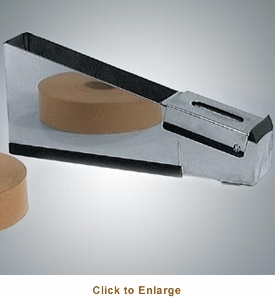 The tape dispenser is made of durable stainless steel with an easy to fill water container. Our tape dispenser comes with a manufacturer warranty. We are available to answer any questions you may have about our products.